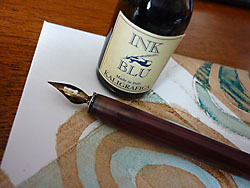 Here are some postcards ready to go out to the post box. 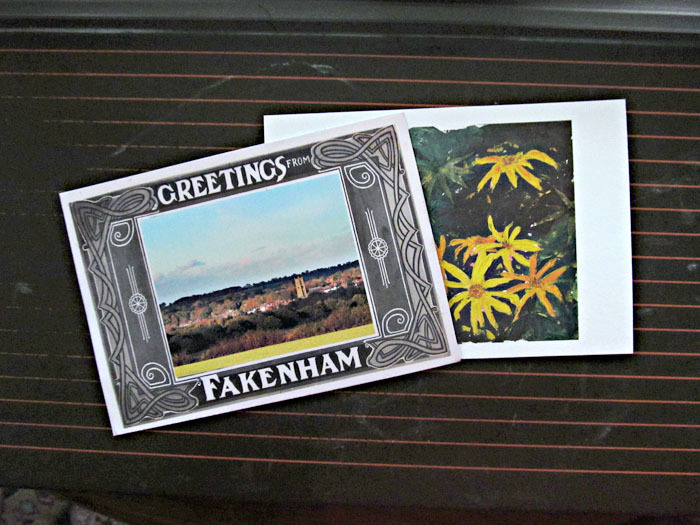 Firstly postcards to Milena in Russia, a view over Fakenham and Catherine in China, a painting I did a while ago as she likes paintings. 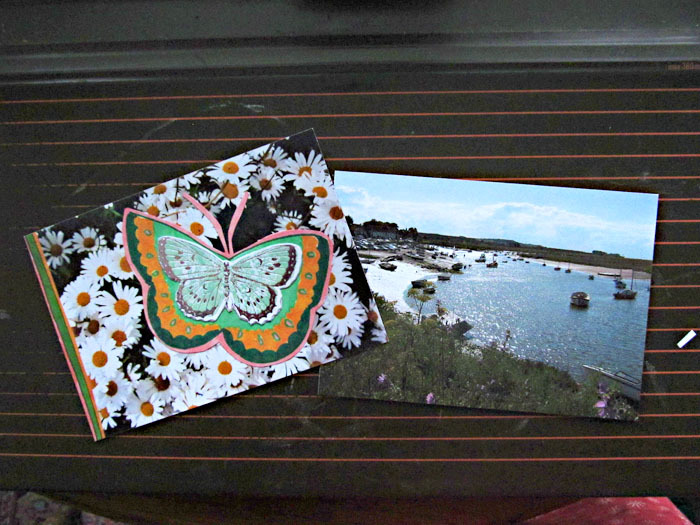 These two are Postcrossings to Stacie in the USA who likes cards sent that are suitable for her children and Maud in Netherlands showing her a bit of our coastline here in Norfolk.